One of the bigger surprises of 2018, was the world level return former unified heavyweight champion Tyson Fury. The man who shocked boxing when he beat Wladimir Klitschko in November of 2015, was away from the sport until June of 2018. Fury came back from a tough personal battle, where he overcame his substance abuse issues and ballooning up in weight to nearly 400 pounds. After two easy victories, Fury signed on to challenge WBC world champion Deontay Wilder on December 1 – in a fight where many felt Fury had bitten off more than he could chew at this stage of his comeback. The contest became a heavyweight classic, where Fury used his boxing skills and defense to nullify Wilder’s feared power. Fury, in a miracle, recovered from a what appeared to be knockout blow in the twelfth and final round. He went down hard, and seemed to be out cold, but made it up to his feet to continue the fight. In the end, the fight was tallied as a controversial twelve round split draw. Now Wilder and Fury are being positioned for a high stakes rematch in 2019. Haye was very impressed with Fury’s performance and he was equally impressed with trainer Ben Davison’s level of work. “I said if Wilder was able to land clean, like he did in that 12th round, I thought that would be the end of the fight,” Haye told Boxing Social. 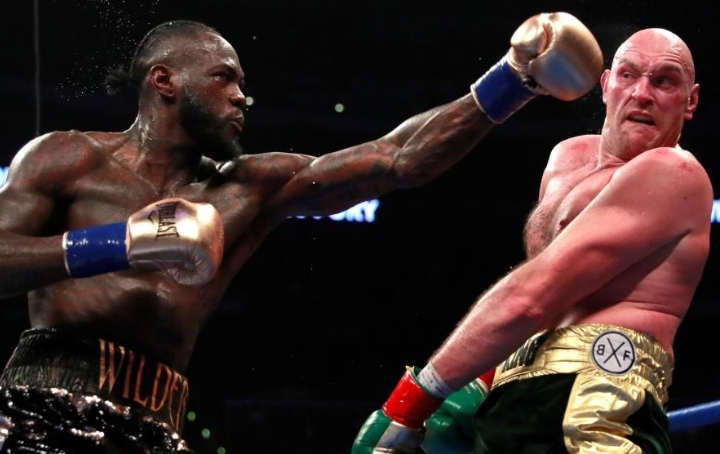 “What I didn’t envisage was Tyson Fury being able to negate 95% of Wilder’s attacks. His reflexes were so good, he was making Wilder fall short, making him look very clumsy. Wilder looks wild on his best day but he made him look very, very untidy. I did an interview beforehand and I said if he could get Wilder into the same mindset that he got Wladimir Klitschko in, he’s got a good chance and he seemed to do that. “He’s got a way of somehow putting a spell on you when you’re in there. Also his young coach as well, I thought that listening to what he was saying to Fury between rounds, Tyson really respected him. He was giving him really clear, concise information. He wasn’t mumbling, he was just telling him exactly what to do and everything he said was spot on.